Rep. Keith Ellison (D.-Minn.) was under serious heat in February when it was revealed that he met with controversial Nation of Islam leader Louis Farrakhan. 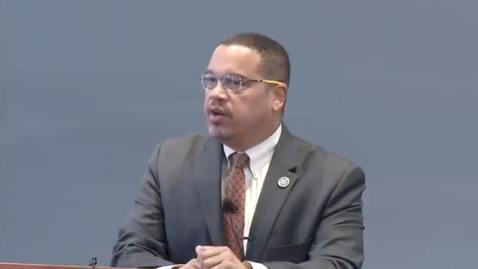 Farrakhan has made multiple anti-Semitic statements over the years and it pushed Ellison, who was associated with Farrakhan, to claim that he severed ties to the leader in a 2006 congressional campaign. Ever since the news went public, the mainstream media mostly ignored the Ellison-Farrakhan meeting as recently as 2013, seven years after Ellison’s public disavowal of Farrakhan. CNN’s Jake Tapper was one of the lone voices that criticized Ellison for remaining friends with Farrakhan. Almost two months later, Ellison has not received much media attention as the media moved onto other news, such as CNN’s intense focus on Stormy Daniels and the ongoing Russia collusion probe led by former FBI director Robert Mueller.